John Wesley Thompson III of Vincentown, NJ, died January 28, 2019. He was 70. Beloved son of the late Jack and Shirlee Thompson and brother Bradley W. Thompson of Vincentown, NJ. Also survived by Virginia and Raymond McGill, Bobbi Graham, Cheryl Wescott, Dennis McGill, Daniel McGill, Sharon Emmons, Shelly McGill and many dozens of cousins especially our most recent, Sienna Graham, daughter of Christopher and Nichole Graham. Wes along with his brother "ran" Thompson's Blueberries, a small pick your own farm inherited from their parents who were True-Blu cooperative growers. They were in the business from the early days of the blueberry industry. Wes was born in Mt. Holly Hospital and brought to Vincentown were he lived most of his life. Descended from some of the earliest European families to settle in Burlington County, Wes was active in the Southampton Township Historical Society, the Vincentown Methodist Church and he was an avid gardener, known for one of the best gardens in Vincentown. 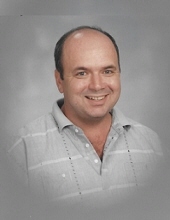 Wes also taught seventh grade for over 30 years at Chatsworth Elementary School, a small rural school in the Pinelands. Many Chatsworth children passed through Mr. "T's" social studies class and home room. His students always knew he cared about them and many of them picked blueberries for the family. For Wes it was always about the children. He created a learning environment that stressed the importance of community and respect for each other. He did not venture far from home and did not particularly like traveling. His longtime companion, Carrie Anne Grunder would on occasion convince him to vacation in Florida where they would often winter in Bonita Springs. John Ackerman his best friend from childhood along with his wife Janice, would lure him away on occasion to take trips he would not have taken without them. He was like an uncle to their children, Jeannine, John, Jake and Jenna. Other than that he liked to stay in the area where our family and ancestors have lived from the earliest settling of Burlington county. Relatives and friends are invited to attend the visitation Saturday morning, February 2nd from 10 to 11:15am at Vincentown United Methodist Church 97 Main Street, Vincentown, NJ 08088. Funeral service will follow at 11:30am. Interment Vincentown Baptist Cemetery 128 Landing Street, Vincentown, NJ 08088. In lieu of flowers please consider making a contribution in his memory to the John W. Thompson III "Mr. T" Scholarship Fund, Chatsworth Public School, 2 John Bowker Jr. Blvd., Chatsworth, NJ 08019. Please visit schetterfh.com to share your condolences with the family. To send flowers or a remembrance gift to the family of John Wesley Thompson III, please visit our Tribute Store. "Email Address" would like to share the life celebration of John Wesley Thompson III. Click on the "link" to go to share a favorite memory or leave a condolence message for the family.